Say the word “audit” and the hearts of most health care executives start to race and brows begin to furrow. The concept usually entails the examination of a complex process with the purpose of unearthing some impropriety that will be painful, expensive, and possibly even embarrassing to correct. However, that sort of thinking can be counterproductive. 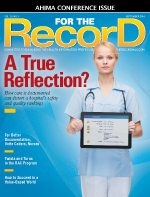 In fact, as the industry prepares for the change to ICD-10 on October 1, 2015, health care organizations should be embracing internal auditing. Here’s why: When approached properly, ICD-10 internal audits can identify opportunities for immediate and ongoing organizational improvement, especially in the area of clinical documentation. Under ICD-9, recovery audit contractor (RAC) audits have been focused primarily on health care’s financial side, hoping to ensure full reimbursement and detect duplicate claims or fraud. While Medicare providers also have performed chart audits, they are typically conducted annually, semiannually, or quarterly at best for “checks and balances” purposes. Although financial aspects will remain important under ICD-10, the level of detail that will become available—68,000 codes in ICD-10 as opposed to 13,000 in ICD-9—creates an unprecedented opportunity to improve charting accuracy and specificity, which will ultimately help drive better patient outcomes. The key is developing a feedback loop that allows providers to learn from issues and subsequently improve their charting and coding processes. This process also can serve to improve communications between clinicians and coders. Currently, there may be differences in the way coders within the same organization interpret and code chart information. When the number of codes increases by a factor of more than five, discrepancies are likely to increase. This situation is already occurring in test scenarios. For example, several coders who were fully trained in ICD-10 were asked to code the same clinical information. When the results were compared, each was different, hardly the outcome the organization was hoping to achieve. It is likely payer organizations will experience this same lack of consistent outcomes. Because there’s no history with ICD-10 codes, the algorithms used to determine which providers from whom to request charts and who to audit will have to change. It is hoped that the greater level of specificity will make it more difficult for providers to code with ambiguity or develop “interesting” approaches that aren’t necessarily legal or ethical. Still, payers are worried about receiving numerous unspecified codes. When South Africa switched to ICD-10, 50% of claims initially received nonspecific codes (eg, not elsewhere classified, not otherwise specified). Providers had to immediately participate in a nationwide industry reeducation program to make certain coders were using the proper codes. This is where having the feedback loop—and a governance mechanism—becomes important. Rather than correcting discrepancies in isolation, an organization can take what it learns from the charting audits and use that information to improve workflows and train clinicians and coders. The more the organization learns, the better it will become at coding clinical data consistently, which will help increase medical record completeness, compliance, and coder productivity while reducing payment delays. In the long run, it also should reduce the number of payer-driven audits. Once clinical audits are viewed as drivers of quality assurance and organizational improvement, the value of increasing the frequency of internal audits becomes apparent. More audits equate to more knowledge, helping to shortcut the learning curve and ensure organizational alignment. Still, there is only so much time and money available for internal audits, which means some level of prioritization must take place. The logical place to start is with the top 10 revenue-generating claims by volume and contract, the areas of highest revenue risk. Unlike RAC audits, however, the paramount goal isn’t to find problems; it is to determine why the problem occurred, get to the root cause, and correct it at the top of the work stream rather than at the end. For example, a claim may be coded correctly based on the information in the chart. But what if the charted information is incorrect? Working back up the workflow and examining the clinical content uncovers the problem’s genesis and provides an opportunity to take corrective action. A prolific internal auditing program also includes random audits. There are several diagnosis-related groups (DRGs) that don’t pay much individually, but cumulatively account for a significant amount of revenue. There also may be other DRGs with more complex documentation requirements. Anything that affects revenue or causes coding productivity to decrease makes an ideal target for an internal audit. Organizations are always better served discovering and correcting any issues internally than waiting for an external audit that carries considerable financial risk. While no one likes duplicate work, one of the smartest things an organization can do is begin dual coding to assess its ICD-10 readiness. Most large payers have test mechanisms in place that will help start or enhance the feedback loop so the organization is already well on the way to success when the actual deadline arrives. Setting aside dedicated time each week allows coders already trained in ICD-10 to begin “test” coding in the new format as well as perfect their ICD-9 skills. Such a program accomplishes two goals. First, it gives coders advance practice to help them better understand how their area of expertise will be affected by ICD-10. Second, dual coding produces “real” claims. The process is visible from start to finish, from initial submission through adjudication and even into the payment system, enabling staff to compare payment differences, if any, between ICD-9 and ICD-10. Many payers cite how difficult it is to find enough providers to submit real ICD-10 test claims. Remember that they are in a learning phase, too. Organizations that act now gain a competitive advantage, ensure they’re prepared for the deadline, and perhaps exert influence over the way future audits are conducted and claims are adjudicated. In general, audits carry a negative connotation, an aspect of the HIM profession that is to be feared and avoided. However, in the case of ICD-10, audits actually represent an opportunity for improvement. By starting early and ensuring governance and a strong feedback loop are in place, providers can use internal audits to reduce revenue risk, accelerate payment, and improve clinical documentation. It’s a change well worth the extra effort. — Bob Witkop, MBA, a 17-year veteran of the HIT industry, is a consulting management professional and director of the quality management office at CTG Health Solutions. — Cecil Bohannan, Jr, MBA, who has worked with health care information systems since 1995, is delivery manager at CTG Health Solutions.